We just completed Tough Mudder last Sunday and recently signed up for the Copenhagen Half Marathon in September...and now we've just been offered places to run London's Music Marathon - Run To The Beat - on the 8th of September 2013. This is a real challenge for us and we never say no to a good ol' challenge - two half marathons in 7 days? Let's do it! Training is really important when it comes to a race. Trust me, your body will let you down on race day if you don't prepare for it in advance. I've personally experienced it on a shorter distance race and it wasn't nice. Eating well and training well coming up to race day is key. So let's the training begin, we have now 17 weeks to go. To support all of us during this journey, Nike have put together a weekly training session. 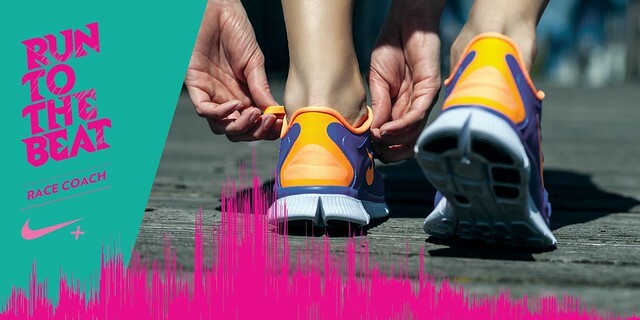 Every Monday evening for 12 weeks, join us to the Run to the Beat powered by Nike+ training run. 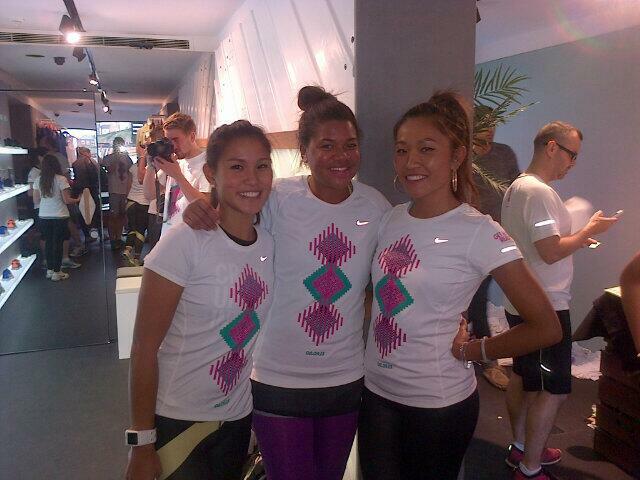 The run will start at 6:30pm from the Nike+ Running Store, Boxpark, Shoreditch. As well as coming on Mondays we highly recommend checking out Nike Running Race Coach. You can choose between 3 training plans depending on you goal: you simply want to finish the race, set a new PB (Personal Best) or if you are a Speedy Gonzales who will basically lead the race. Run To the Beat is an amazing race. Music helps you keep the rhythm and to motivate you to the end. When you hear that beat, it makes you want to dance, twerk and booty bounce. Yeah, you know when you start Running to the Beat and singing out loud because you know the lyrics of the song. You almost forget you're running because you're on a hype and you get out of breathe...did this happen to you before? It happens to me every time. Music makes me happy. Food and Lycra x Run To the Beat 2013. Bring it on!!! Check out Run 247's recap video Nike Boxpark's first training session for RTTB below! Before I go, I'm feeling musical I thought I'd share this one with you guys...Earth Wind and Fire: "September" enjoy and shake a leg with me on this classic tune!